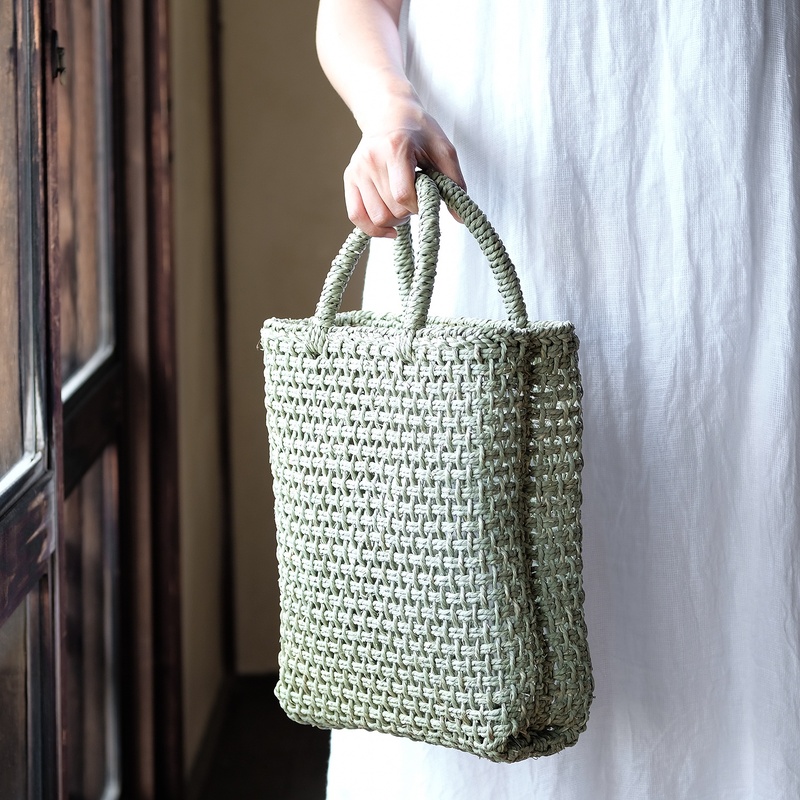 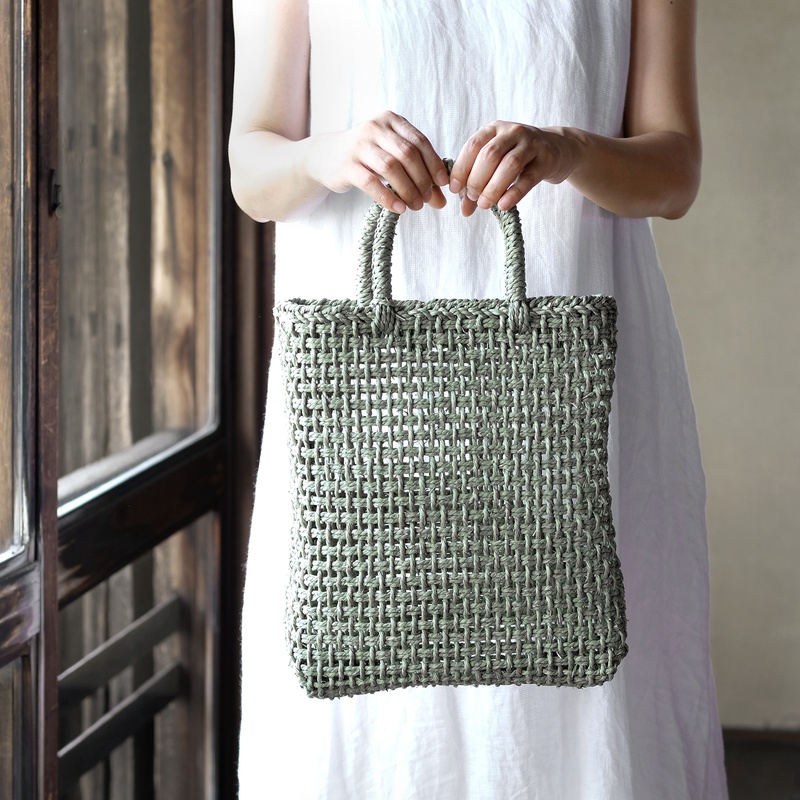 Ikago bags are crafted from woven igusa by a young 5th generation artisan at his family workshop. 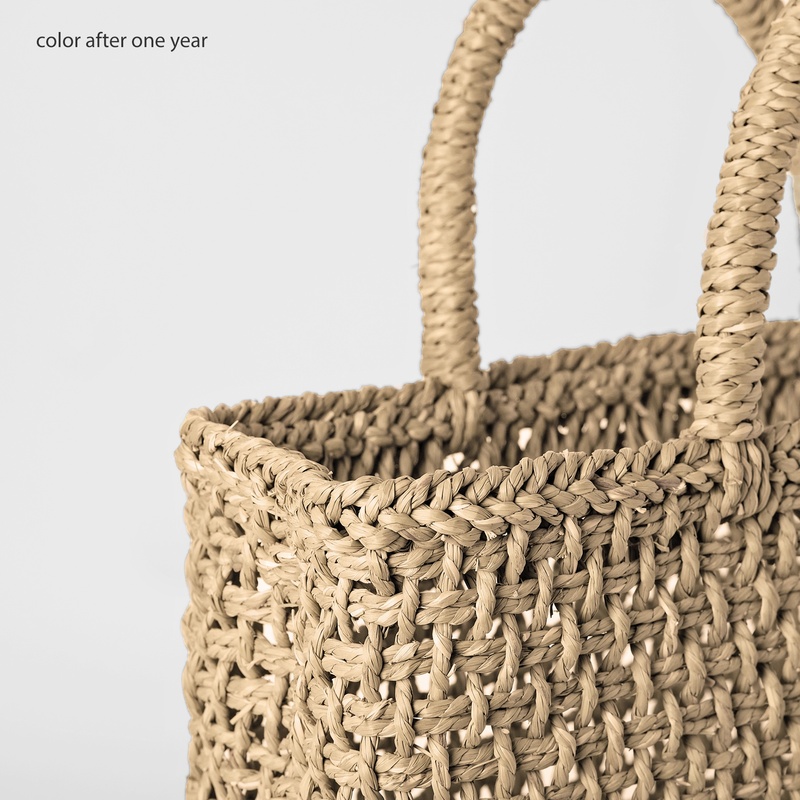 The airy, lightweight bags are remarkably durable and resistant to water damage. 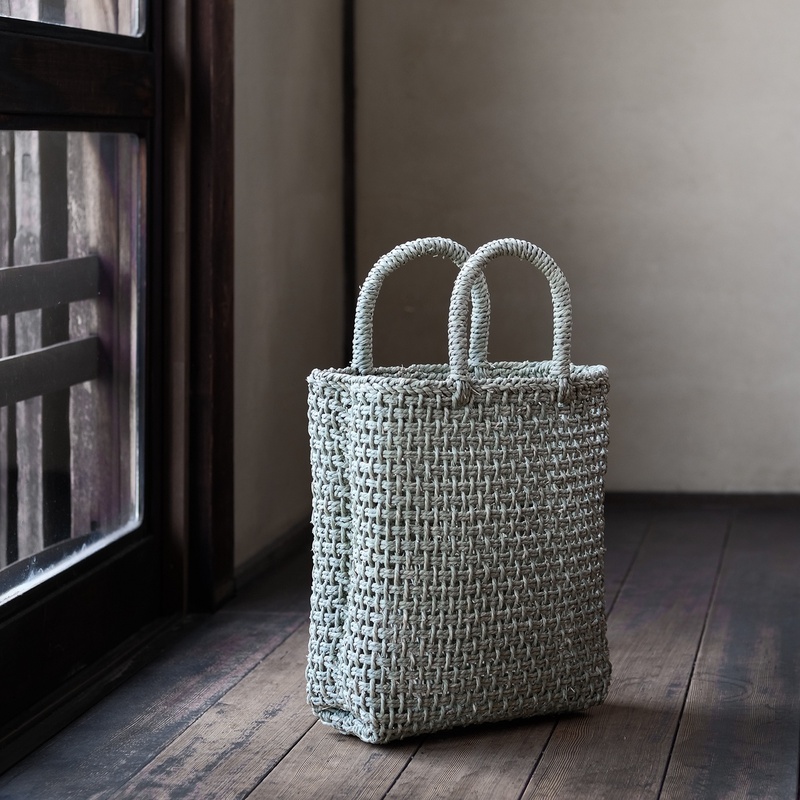 The Igusa plant is a water rush cultivated in Kurashi, Okayama and other regions and is commonly known as the material used to produce tatami mats. 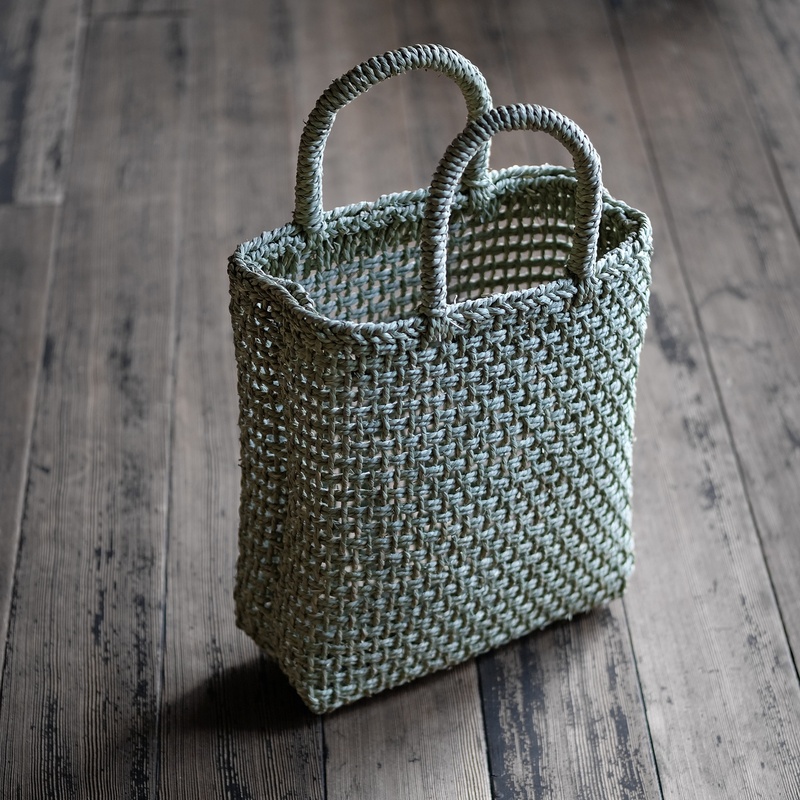 The freshly woven material is a cool green when new but will gradually turn a warm golden brown hue with age (see photo).